Canadian contralto Deborah Overes is a versatile artist equally at home in concert, opera and music theatre. Recent engagements include the role of Zita GIANNI SCHICCHI for Festival Lyrique International de Belle Ile, Auntie (cover) PETER GRIMES with the Canadian Opera Company, Dvorak Stabat Mater with the Toronto Philharmonia and Lady Jane ROSE MARIE, in the inaugural production for Wish Opera. Her diverse repertoire includes Berta IL BARBIERE DI SIVIGLIA for Festival Lyrique en Mer, Belle-Ile-en-Mer, Zia Principessa SUOR ANGELICA for Opera York, Dritte Magd ELEKTRA with Vancouver Opera, Die Hexe HANSEL UND GRETEL with Wexford Festival Opera, Mistress Quickly FALSTAFF and Old Lady CANDIDE with SOLT and Carol TURTLE WAKES for Calgary Opera/Quest Theatre. Other favourite roles include Czipra THE GYPSY BARON, Ruth PIRATES OF PENZANCE and Katisha THE MIKADO with Toronto Opera Theatre and Symphony Niagara. Ms. Overes has been also involved in a number of workshops and performances with Tapestry Opera. Concert appearances include Mahler Symphony No. 2, Verdi Messa da Requiem, Mozart Requiem and Coronation Mass, Handel Messiah, Haydn Lord Nelson Mass, Vivaldi Gloria, Mendelssohn Elijah, and Bach Magnificat for performing organizations throughout Canada. She has also toured with a Gilbert and Sullivan Gala for Toronto Philharmonia. 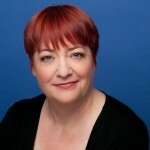 Ms. Overes’ appearances in Music Theatre include Fraulein Schweiger in THE SOUND OF MUSIC for both the award-winning Mirvish production as well as the Stratford Festival, Wardrobe Mistress/ Confidante THE PHANTOM OF THE OPERA on tour with Live Entertainment in Canada, Sister Hubert NUNSENSE for Thousand Islands Playhouse, and Sister Hubert NUNSENSE for La Diligence Montreal. A native of North Vancouver, B.C., she attended the University of Victoria where she received a Bachelor of Music degree and continued on to McGill University where she obtained a Masters of Music. She participated in the Mozarteum International Academy in Salzburg, Austria winning a scholarship from the Austrian Society in Montreal.